has this got stereo or mono mp3 cause my friend has this phone and the sound ain't really that loud compared to an o2 x3 ? Great phone, great feature, very handy when you're stuck in traffic... but it would be even better if it had bluetooth capability... But that's asking too much from a great phone isn't it? cool design. really good. got one of this in green and black.....i use this as my MP3 player.....great lookin all portable media players should look like this.......i was just wondering whether i could turn this into a electronic wallet/media player/multimedia wallet....so i can carry my MP3,MP4, DivX, XVid, WMA, AIFF, WMV, Avi etc. files and audio video footage everywhere.....thinkin about developing a media playback and recording software for it......is it possible? by the way, you can upgrade the memory as long as you're using MMC card.. my friend is currently using 512 mmc card.. I found one PC Suite for Nokia 3300 wherein you can modify the contents of Phonebook and Gallery, but I haven't tested it yet. You will need F-Bus Cable and Oxygen Phone Manager II. For those who has F-Bus cable, kindly test it for us.. if you succeed, then 3300 would be a complete phone.. thanks. 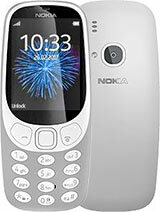 Can i upgrade the memory of nokia 3300?if yes how much can go i mean upto what limit? hey everyone!.. u can upload any apllications on ur MMC and do the setup on ur phone after uploading them and removing the USB cable, u'll find them in extras..
does anybody knows how to upload a wallpaper to the cellphone´s MMC, via USB cable?? please, tell me!!! I know there´s a smart way of getting wallpapers without downloading them via wap... that´s too expensive here in my country... PLEASE, HELP!!! does any no how to get wallpapers or ringtones on with out the net or any sites that are free that go straight to ure fone? Hi everyone! I'm just wondering can I upload Java apllications, Tones and pictures to Nokia 3300 via the USB cable. Please, answere to my mail or here. 10x. 3300 is the coolest design i've ever seen.it rules.where can i buy a new housing for my phone(3300)?it's so hard to find.is the housing available here in the philippines?where? someone know how u cant upload some wallpaper on this phone 3300?? what program...?!?!?! this is a great phone, with the mp3 & true tones. really loved this phone to bits although it's a little big.